For many users, Facebook is just another way to communicate with friends and family. You can spend some quality time on this entertaining social media platform. But for many other users, this is just a social media platform, not just a tool to communicate. Perhaps, Facebook is a place where a lot of people promote their online business. A lot of freelancers are making money online using Facebook while many others are promoting their brand. It means that your Facebook account has some value and if you are making money from your Facebook account then it should be secured as well. Why Your Facebook Account is at Risk? If you own a good Facebook page or business group page, you can make money through those pages and groups. So anyone who knows that you are the owner of those pages can try to hack your Facebook account. If any Facebook hacker hacks your account successfully he/she may remove you from the ownership of those pages and can become the owner. Now, he or she will make money online out of your pages and you will have nothing in your hands. Even when you own just a personal profile, you also need to secure your Facebook, because a hacker with full access to your account can cause you a lot of embarrassment. 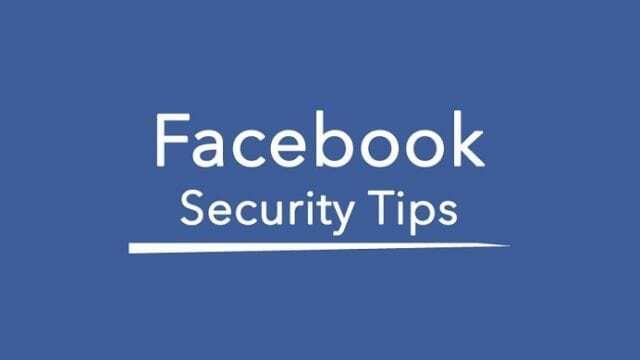 How to Secure Your Facebook Account From Hackers? Well, it is not difficult to secure your Facebook account. You just have to take care of a few things which are quite simple and everyone knows these things, but we usually do not pay enough attention to them. Many hackers, don’t actually hack your Facebook account. In fact, they use trial and error method to find your password. The first thing you should do is to select a complicated password and make sure that your password is not easy to guess. Some Facebook users choose name of their spouse, date of birth, the registration number of their vehicle, their phone number, or names of their kids as their password. These things are too obvious to guess and anyone who knows a little about you can guess your password and then make changes to your account. So you should make sure that your password should be difficult to guess and it should have mixed case letters, numbers and special characters. For example, if the name of your spouse is Aleena, and you set your password as ‘aleenayasir’ (suppose your name is Yasir) then anyone can try this password and can get access to your Facebook account. You should not use names in the password, or if you must you have to mix thigns up like: ‘[email protected]$2’. Now this password has your name and the name of your spouse, but some letters are small while the others are capital. Moreover, this password has numbers and special characters. Now this password is harder to guess for a hacker even if he knew your data. Also, try to change your password once a month. Phishing is the widely used method to hack FB online in Pakistan. In this method, the attacker makes a web page that looks exactly like Facebook’s official page. But actually, that page is not the official page. The attacker will trick you to enter your password and email address to log in to that page. You might think how someone can force you to provide your login details? Let’s take an example; if you receive a message in your inbox that now you can use Facebook in Urdu, or now you can use Facebook on your mobile for Free forever. And to do so, just click on the link below and log in to your Facebook account. There is a good chance that you could get attracted to that offer and you try to login to your Facebook account using the link provided by the attacker. When you do this you might get a message which says, sorry you don’t qualify for the offer. Meanwhile, the Facebook username and password you used to login is now in the possession of the hacker. You can still login as normal later on your Facebook account without noticing anything unusual. Of course, the hacker can choose to lock you out of your account by changing the password. So make sure that you are providing your email and password only on the official Facebook page. If you see the Web URL like this: www.urdu-facebook.com or something like this, don’t enter your password on that page. The best thing you should do is to add an extra layer of security. You can do this by navigating to the settings and from security option; you can select extra options for security. You should select the option to receive a security code on your registered mobile number whenever someone tries to login to your Facebook account from an unauthorized device. Once you do this, even if you try to login from a computer which you never used before, you will not be able to login until you enter a security code which you receive on your mobile device. This is the best option as even if the hacker hacks your Facebook account and get your password, he will not be able to login because he has to enter the code which you get on your mobile. You should take your Facebook account security seriously. Otherwise, anyone can hack your Facebook account online easily. There are so many methods which don’t need any software or access to your computer. So you must be careful about your Facebook account’s security. This is Syed Faran Akhtar, a Computer System Engineer and founder of MobileFun.pk. I write technology articles for MobileFun.pk and iPhone-Appstore.com on regular basis. You can contact with me on Facebook.